Made By 304 Stainless Steel. 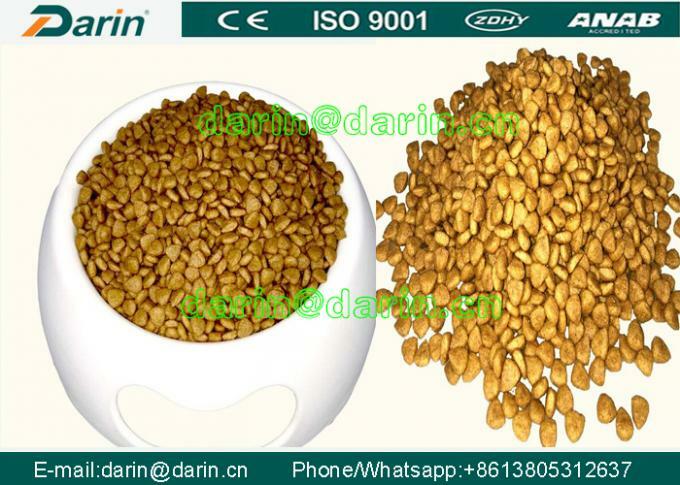 Dog feed production equipment made by Darin company can produce various kinds of dog food,dog food, in order to produce high quality specialised dog food, in order to adapt various kinds of dog. 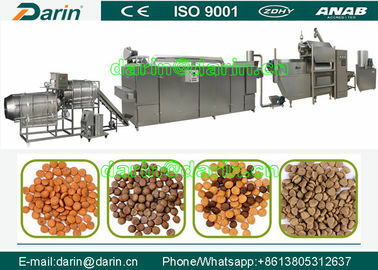 Furthermore, this dog food production line can be widely used to produce dog, cat, shrimp, fox,bird and pet food production. our main production line include food extrusion machine,soya meal/meat processing machine,packaging machine,rice cake machine etc.most importantly,we also provide formula,technology supports,machine inspection service etc. Corn flour, wheat flour, rice flour, fish powder, bone powder, fresh bone and meat paste, etc. or to use the corn feeds, rice feeds, wheat feeds directly, then a grains grinder will be added. Stainless Steel Good Quality Pet Treats Processing Line Dog Chewing Food Extrusion Machine focuses on the production of feeds for animals with a high emotional value but low economic usefulness, apart from the aspect of breeding. Dog and cat foods, directly extruded and dried, dry or semi-moist. These constitute the biggest market segment. Feed for fish, high-grade complete feeds capable of maintaining the health even of exotic species in aquariums over prolonged periods of time, sinking or floating feed. This equipment has the wide material, multi-shape products and flexible collocations. We can produce the different products according to the different models and collocations.